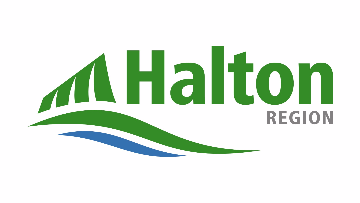 We are committed to the delivery of high quality services in support of making Halton Region a great place to live, work, raise a family, and retire. We are a supportive, challenging and rewarding place to work where you will be recognized for your accomplishments and contributions, and encouraged to grow and succeed in your career. If you are looking for a role where you can lead a new Engineering Management Office (EMO) team, we want to hear from you. Over the next 10 years, the Region will be investing approximately $3.9 Billion in road, water and wastewater infrastructure. We are committed to delivering high quality infrastructure for the residents, businesses and visitors to Halton Region and we are looking for dedicated, forward thinking and enthusiastic individuals to join our Public Works team! Reporting to the Director, Engineering and Construction, as a Senior Project Advisor you will be responsible for establishing and leading an EMO team. The EMO will be responsible for establishing standardized processes, guidelines and performance measures and partner with the Capital Engineering & Construction and Technical Services groups to ensure the effective delivery of both state-of-good repair and growth related capital programs. The EMO will also play a key role in overall Departmental communication. Excellent project/program management skills, including: strategic planning, organization, problem solving, financial management and risk mitigation. Superior leadership skills, including: day to day supervision, mentoring and coaching, and providing professional guidance, to develop an effective, quality focused and inclusive team. Strong oral & written communication, facilitation, negotiation and dispute resolution skills, to successfully interface with multiple stakeholders, including regional staff, consultants, contractors, council and the general public. Technical understanding and/or experience in planning, design, construction and commissioning of road, water and wastewater infrastructure, including best practices and evolving technologies and methods. Demonstrated knowledge and experience with applicable legislation, standards, documentation and regulatory processes, including: Municipal Class Environmental Assessment, Safe Drinking Water Act, Clean Water Act, Ontario Water Resources Act, Environmental Protection Act, American Water Works Association Standards, Construction Lien Act and Occupational Health and Safety Act. Participate in and support departmental and corporate initiatives as a member of the Engineering and Construction Extended Management Team. Mentor, coach, supervise and provide development opportunities and team leadership to a diverse group of staff. Review and enhance program and project delivery processes and practices to ensure they are optimized and represent current industry best practices. Develop and cultivate strong relationships within the Department, across the Corporation and staff of appropriate provincial ministries, adjacent Upper Tier and Single Tier municipalities and the area municipalities, through demonstrated professionalism, political acuity and responsive communications. Ensure that all services to the residents and businesses of Halton are delivered in keeping with Halton's commitment to excellence in customer service by consistently demonstrating, supporting and developing these skills in sectional staff. Research, develop and implement best practices to ensure programs are delivered to the highest quality and within industry standards. Provide specific and broad advice and guidance to the Public Work's Senior Management Team to support delivery of key strategic projects and overall capital programs. Develop, maintain and report on Divisional Key Performance Indicators (KPIs). Flexibility in working hours is required for frequent trips to project sites. Incumbent must supply their own transportation. If selected for an interview, you will be contacted by email and/or phone. Please ensure the contact information provided on your resume is up to date and that you check your email and voicemail regularly.